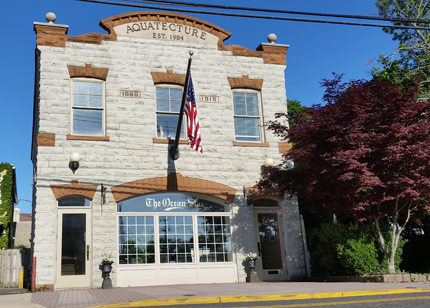 Aquatecture Associates is an award-winning architecture firm located in Point Pleasant Beach, NJ. Their work has garnered them honors from prestigious institutes including the New Jersey Builders Association, the American Institute of Architecture, and the Philadelphia Business Journal. Since 1984, principals John C. Amelchenko and Gregory L. Cox have served as architects for office complexes, medical centers, recreational facilities, retail complexes, multi-family and custom single-family residential projects in addition to specializing in feasibility studies, site planning, interior design and land planning. With a commitment to individualized design and cost effectiveness, no project is too small for Aquatecture Associates. Located in the heart of the Jersey Shore in Point Pleasant Beach, NJ, Aquatecture’s understanding of FEMA regulations, RREM compliance, and CAFRA is an invaluable asset for home and business owners looking to build or rebuild in the area. Their headquarters are housed in a 100-year-old former firehouse that the firm rehabilitated to restore its original look while modernizing the interior to allow for the latest in communications and computer network environments. This restoration project has won Aquatecture Associates numerous city and state awards. Since 1984, Aquatecture Associates’s team has been lending their expertise to architectural projects ranging from institutional complexes to residential renovations. Founding Partner, is a graduate of the New Jersey Institute of Technology, LEED Green Associate, and is licensed to practice architecture in the state of New Jersey. Since 1984, he’s been bringing Aquatecture’s trademark innovation to projects across the Garden State and beyond. A graduate of Pratt Institute, Greg holds architectural licenses in the states of New York and New Jersey and is a licensed Professional Planner in New Jersey. Designing architectural solutions within the client’s criteria is a passion brought to every Aquatecture project since 1984. A native of Bolivia, Richard’s fine eye for detail, combined with over 20 years experience in construction detailing, have made him a critical asset to the Aquatecture Team. For over 15 years, Kelly has not only developed her skills as a draftsperson and designer but is Aquatectures in-office renderer and social media specialist.